MAR’s internship program at the Zavora Marine Lab in Mozambique was developed to provide a world-class opportunity for science students and dedicated conservationists to assist with and receive training in marine research and conservation. Interns gain experience in all aspects of research and experience the challenges and pleasures of working in the most beautiful, wild and remote coastline of southern Mozambique. Interns roles include, but are not limited to, collecting underwater and on-land data for any or all of MAR’s current research under the supervision of a qualified marine biologist, database entry and analysis, assisting with science communication and community outreach, and organizing or participating in events for environmental protection. 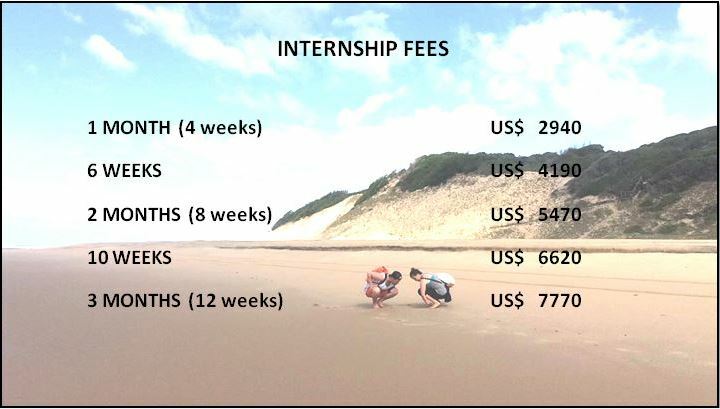 Cost varies if interns wish to combine certification (e.g., Advanced Open Water scuba diving) or only conduct marine biology fieldwork. The internship fee covers interns’ expenses in Zavora and helps towards running the laboratory allowing MAR to exist and work towards conservation and awareness. Please contact info@marineactionresearch.com if you would like to discuss your research or dissertation before applying.